Sonicare offers an aesthetic upgrade for your bathroom sink and dopp bag. 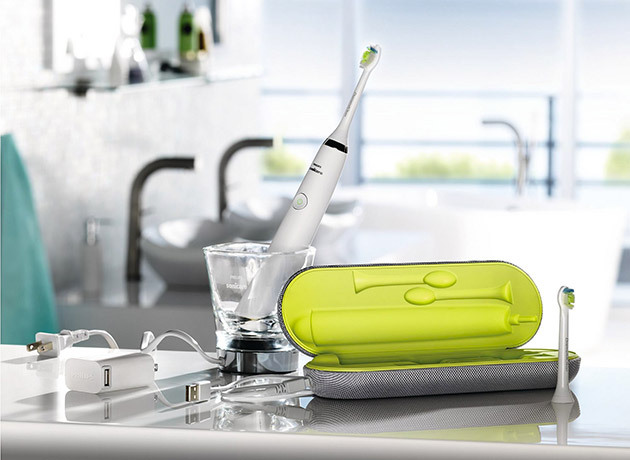 The Sonicare DiamondClean ($410) is a rechargeable toothbrush that comes complete with a fully functional charging glass and a stylish USB charging case instead of a boring, plastic charging dock. The DiamondClean also features an improved brush head and neck and five cleaning modes to keep your smile sparkling clean, minimize plaque build-up and improve gum health.